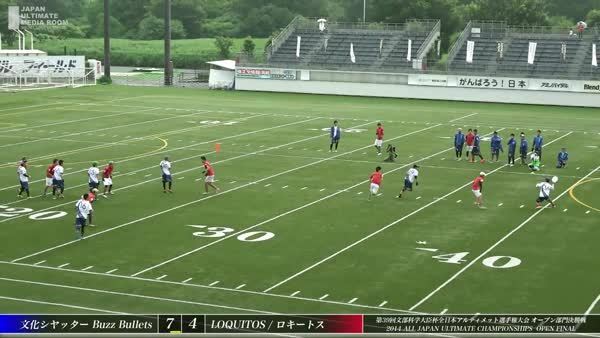 Editors note: In what started as an email chain amongst coaches in upstate New York, all with roots tracing back to him,this series from Bryan Jones will look to share mostly brief coaching insights gained from watching a gif of a play in ultimate. Handler defense is team defense. It shows good marking practices. The mark is active, and takes away the main look the thrower is going for. Solid front of the stack defense. Good help from the middle of the stack, as the player poaches to into the lane and takes away a dangerous upline cut. And finally, a good recovery and switch.